Odori Park is a large strip of green park in Sapporo, Hokkaido which separates the city and provides a nice, relaxing area in the city center. In the winter, the Sapporo snow festival takes place in this park, while in other seasons various flowers bloom and other events are held. 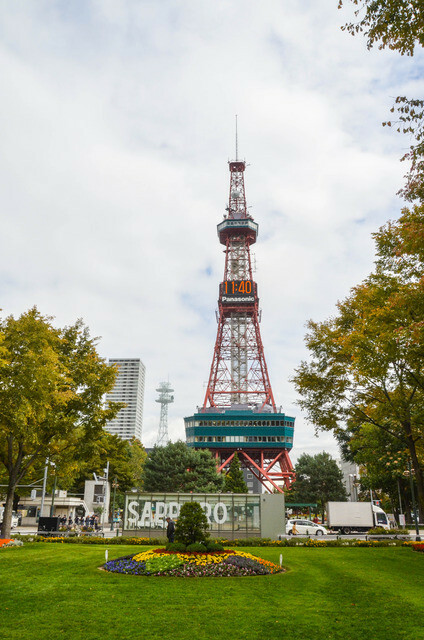 At the head of the park stands the Sapporo TV Tower, which has an observation deck for good views over Sapporo. When I visited, I was more interested in seeing the Clock Tower and the old red-brick Prefectural Building that I didn’t spend much time here. Also, they were setting up for some kind of event while I was there, so I just took the one picture of the clock tower and moved on! Sapporo is on my “must visit again” list, so one year maybe I’ll get the chance to retake this picture with the 2016 postcard! 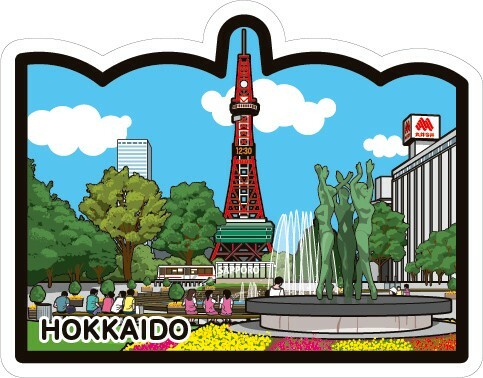 This entry was posted in Date: 2016 - Set 8, Prefecture: Hokkaido, Type: Place and tagged park, sapporo, tower by Jess. Bookmark the permalink.